Whether hiking or biking in Upper Bidwell Park, Chico CA. you're gonna be thirsty, and proper hydration is essential to your survival. 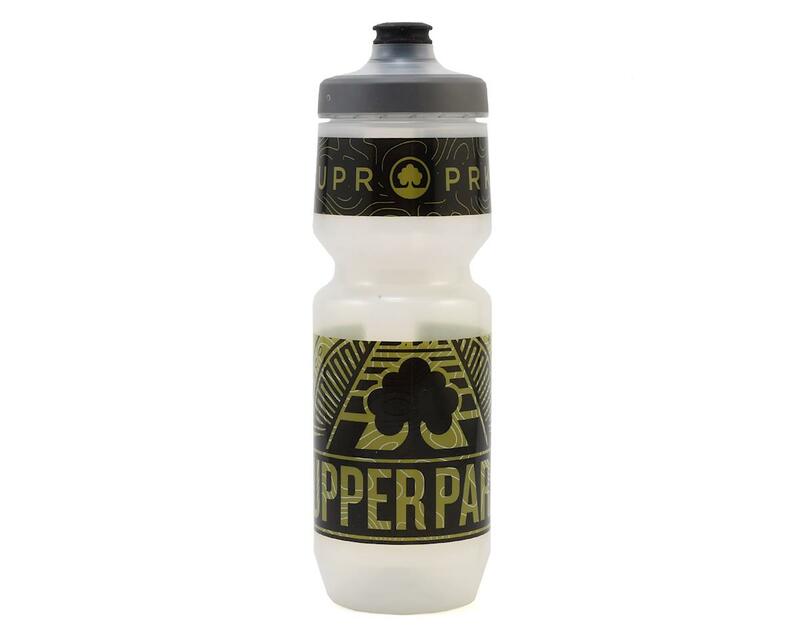 In effort to keep you topped up with fluids while enjoying our great natural landscapes, Upper Park Clothing and Amain Cycling have conspired with Specialized to release this limited edition water bottle. With a 26oz capacity, easy squeeze design, high flow nozzle, and unique Upper Park graphics, you won't be left short on fluids... or style. Delivering a high rate of flow in a leak-proof design, the Purist Watergate offers a simple drinking experience: just aim and squeeze for clean, pure refreshment. Rubber over-molded on the outside of cap for easy, sure grip. Purist infusion shields the bottle form odor, stains, and mold to keep your water pure and your bottle clean. As pure as drinking from a glass, but with all the advantages of a flexible bottle.